Doncaster Sheffield airport is launching two new routes to Belfast City and the Isle of Man this April. LinksAir will base an aircraft at the Robin Hood Airport, with twice-daily flights to Belfast on weekdays and a single Sunday return from 7th April. Isle of Man flights will start on 14th April, operating on Monday, Friday and Sunday. Airport managing director Steve Gill said: “This is fantastic news for the airport and for Yorkshire passengers. “These two new routes are a great addition to our offering. Belfast will be a fantastic business route with people being able to set off in the morning and be in Belfast city centre for the start of the business day. Easily reached from the airport, why not try one of these highly commended tourist award 1,2 and 3-bedroom apartments. 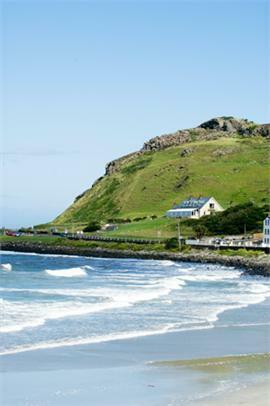 Located on the beautiful Antrim coast overlooking Ballygally Beach, they are an ideal centre for touring the Glens of Antrim and the world-famous Giant’s Causeway. There are restaurants and pubs within walking distance. 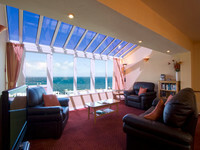 The apartments have been furnished and equipped to the highest standards with full central heating for winter visits. 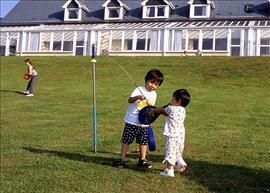 Children are welcome, and it’s a great place for fishing and bird watching. With 2-night breaks from £195 and 3-night breaks from £220, it’s an ideal place for a short break nipping over from Yorkshire. This entry was posted on February 21, 2014, 11:01 am and is filed under Cottages Search, Flights, Ireland, Isle of Man, Last minute breaks, News, North West, Transport, wildlife, Yorkshire. You can follow any responses to this entry through RSS 2.0. You can leave a response, or trackback from your own site.